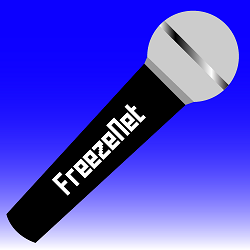 Welcome to the public version of the fifth episode episode of the Freezenet official podcast. For the month of March, we discuss the stunning passage of article 11 and article 13/17. We also cover some stuff happening with Google. There is even a data breach as well as an update on Australia’s war on encryption. Still, it seemed appropriate to name this episode after the feeling everyone got by the end of March: #RIPInternet. Our top story this month is Europe passes Article 13 after citizens come out in droves to condemn the censorship machines. Coming in at number two: Accusations of bomb threats, fake activism and threats of negative publicity fly in Europe’s copyright debate. Finally at number 3, a massive data leak sees 800 million accounts exposed. We begin this months podcast with a story that has dominated headlines for months now: Europe’s copyright directive. Article 13, known as the censorship machines, would force websites to put in place crippling filtering technology. This law would apply to businesses that have been around for 3 years or make several million Euro’s in annual turnover. Meanwhile, article 11, is known as the link tax. It would force websites to pay a license fee to websites they link to. Provisions forbid any European publisher from opting out of the link tax as well. Tensions over the legislation have been building for months now. Earlier this month, European Digital Rights (or EDRI) declared March 20 – 27 the Ultimate week of action against Article 13. The week includes participating in Pan-European demonstrations, major website blackout protests, and speaking to politicians. The announcement was made after the organization offered travel vouchers to those who want to participate in the week of action. The promise of an unprecedented digital rights activist movement did not disappoint. First, there was major blackout protests. Participants included Wikipedia, Reddit, EFF, and EDRI to name a few. Those participating blacked out their sites and urged their readers to get involved. Shortly after the campaign, the petition to stop the whole process received a major boost. That petition flew past 5 million signatures. As of the more recent numbers, we can report that the petition has received 5,172,077 signatures. That number, of course, is only continuing to grow. Shortly after that, the promised March 23rd demonstrations took place. Some publications claim that the number of protesters wound up being somewhere in the 60,000 person range. Other’s say that more than 200,000 protesters participated all across the continent. Four lane highways were shut down as protesters streamed down streets, flooded squares, and held signs denouncing the copyright legislation. We’ve seen images from Germany, Sweden, France, and other countries, but protests covered pretty much the entire continent. With so much public pressure, some European politicians announced that they are no longer going to support the legislation. Things started looking good for supporters of free speech. Unfortunately, that’s when the vote hit. A decisive and crushing blow hit European’s as politicians voted in favour of the law. This despite the near universal opposition. The vote came down with 348 votes in favour, 274 against and 36 abstentions. One MEP, Julia Reda, called this a dark day in Internet history. Meanwhile, the Electronic Frontier Foundation called the development “a stunning rejection of the will of five million online petitioners, and over 100,000 protestors”. In response, European’s have expressed anger, horror, sadness, and a whole range of other emotions over this. Creators, journalists, and innovators all now find themselves with a future in doubt. This leads us to the second big story of the month. Accusations are flying in Europe’s copyright debate on the lead up to the stunning defeat. Much like the build-up to the massive demonstrations, tensions also built up over the course of this month as well. Earlier this month, Axel Voss, architect of the copyright directive, launched multiple attacks. Voss accused his opponents of fake activism. Additionally, he denied that there are any upload filters in the law. That’s a claim that, at the time, was still widely disputed. During an interview with Deutchland Funk, Voss said that there are no upload filters and that this is just one of many lies perpetuated by big tech. When asked about the possible increase in liability for small businesses, Voss shrugged it off. He said that businesses taking on possible liability as a normal part of conducting business. Later on, in a separate interview, Voss wound up admitting that the law is, in fact, about upload filters. Rather that apologizing for this, he doubled down. Voss went so far as to suggest that sites like YouTube shouldn’t even exist. Lobbying organizations, one of Voss’s few remaining allies in the copyright debate, offered support. The debate, of course, is very far reaching for Europe. In spite of that, the lobbyists continued to insist that this debate is all about YouTube. They accuse the social media platform of spreading misinformation. They then blasted the site, saying that it’s unfair that they can’t run banner ads on their website pushing their side of the debate. Whether or not they were ever told no, however, remains unclear. After numerous accusations and attacks made by Voss and his allies, it seems tensions finally boiled over. While speaking to friendly publication Spiegel, Voss said that he is collecting messages from people and handing them over to authorities. The publication painted Voss as a kind, gentle, and restrained individual. Then, the publication detailed how Voss has received multiple threats from individuals. Those threats, Voss claims, were directed at him and his staff. In one instance, one of those messages contained a bomb threat. Voss told the publication how hatred can be incredible. All this happened by the eve of the critical vote on the directive. Well, you know the news is big when an 800 million account data leak only makes it into the number three spot. The security community found themselves with an interesting situation thanks to a significant data leak this month. It turns out, they managed to get a hold of an unsecured Mongo Database. In it, there were 800 million accounts for anyone to read. After some investigation, researchers discovered that the data within the database is unique. Therefore, this is a new leak of information. Of course, things took a mysterious turn when it became difficult to figure out who the owner of the database was. Eventually, their research led them to a company called Verifications IO LLC. The company brands itself as offering “enterprise email validation”. Researchers contacted the company and the company responded by admitting that, yes, they were, in fact, the owners of that database. In response, the company immediately took down the database and began working to secure their data. The company then thanked the researchers and said that the data contained public information and not private client information. Quite a lot is happening in the news. Let’s keep it going with some of the other stories making news this month. We’ve got a followup to a story we brought you last year. That, of course, has to to with the UnderArmour MyFitnessPal data breach. At the time, 150 million accounts were compromised. It seems that hackers have packaged that breached information in with several other breached databases. Pilfered information in hand, they are now selling it all on the dark web. The databases and number of accounts involved are: Dubsmash (162 million), MyFitnessPal (151 million), MyHeritage (92 million), ShareThis (41 million), HauteLook (28 million), Animoto (25 million), EyeEm (22 million), 8fit (20 million), Whitepages (18 million), Fotolog (16 million), 500px (15 million), Armor Games (11 million), BookMate (8 million), CoffeeMeetsBagel (6 million), Artsy (1 million), and DataCamp (700,000). In all, 617 million account credentials are up for sale. The package is being sold on the dark web for 20,000 dollars in Bitcoin. Experts suggest that the data is being directed at spammers and credential stuffers. Many of the passwords are still hashed, so they require cracking before they can be used. Still, it is a big reminder to users affected by any of this to change their passwords. We now turn things to Australia where the encryption fight continues. Australia has already passed anti-encryption laws. Legally, it is known as the Assistance and Access Act. The law would force companies to install backdoor access for law enforcement if communication involves any form of encryption. Earlier on, Mozilla, maker of FireFox, was joined by FastMail to launch a campaign to reform the laws. In a submission, FastMail pointed out that 90% of their user-base comes from non-Australian regions. Because of this, they feel threatened by the law because it creates the perception that Australia is no longer a safe country for data. Additionally, they said that they were concerned about conflicts between the anti-encryption law and the European General Data Protection Regulation which increases personal privacy for users. Meanwhile, Mozilla expressed similar concerns in their own submission. They argued that decryption orders elsewhere wound up being public news. Because of this, it allowed experts to weigh in on the dangers of decrypting peoples data. In light of this, they are calling for more transparency in the laws instead of what they call secrecy by default. Additionally, Mozilla is calling for court oversight for backdoor orders. With all this going on, another report suggests that not only are the anti-encryption laws being enforced today, authorities are also issuing backdoor requests as well. The report quoted a government spokesman saying: “The legislation is being actively used by law enforcement and security agencies in a number of investigations to keep Australia safe […] The legislation in no way compromises the security of any Australians’ digital communications”. Australia’s anti-encryption laws has once again become an international incident. Thailand has seemingly drawn inspiration from the laws and quickly passed laws of their own. Those laws would allow authorities to seize computers, network equipment, and other data with no court oversight. A court only needs to be notified after the actions took place. The law is known as the The Cybersecurity Act. This latest development is causing concern among free speech advocates as another move to further tighten the laws on dissent in the country. Already, the country is known for lese majeste laws which forbid criticizing the king and other members of royalty. Later on, the Australian Green Party announced that they are pushing for the repeal of Australia’s anti-encryption laws. Senator Steele-John argues that vulnerabilities are already being built into everyday devices. Steele-John also argued that those who are being targetted by these laws are now likely using other encrypted services. As a result, this renders the laws useless. Moving things back over to Europe, Google found itself in regulatory hot water this month. The search engine giant was fined 1.49 billion euro’s for anti-trust violations. Those violations stem from Google’s Adsense service. Google is accused of leveraging it’s strong position in the ad network market for anti-competitive purposes. Among the accusations are Google telling publishers where they can display competing networks ads, how prominently, and even the font choices they can use. Google has said that it has since discontinued the practices cited in the legal matter. Video game streaming service Twitch has come out against Article 13. The company expressed concern about how streamers could be forced to navigate regulatory red tape. Additionally, the company expressed concerns for false positives and an additional huge burden of having to proactively police their service. “These discriminatory provisions and proposals contained in Article 11 and Recital 35 of the text dash any hopes that the Directive would support authors in the press sector in obtaining fair and proportionate remuneration for their work under this law or in future national legislation. Another big name has also come out against Article 13 this month. This time, it’s not a private company or a particular citizen. It comes from the German Data Privacy Commissioner. Ulrich Kelber argued that the directive presents significant risks to personal privacy. Kelber argued that the platforms are in no position to negotiate contracts with the multitude of rights holders out there. Instead, they would have to rely on outsourcing the heavy lifting to private IT companies. As a result, users of the platform would be subject to further data tracking. Additionally, surviving platforms would wind up with an oligopoly, putting further risk to Europeans. It was certainly an eventful month this month, but let’s check in on the entertainment side of things. First, we tried Rampage for the Atari 7800. A nice improvement over the Atari 2600 version, but with scarce health and three lives, gameplay winds up being short lived. So, this game gets a 54%. Next up, we tried Tomcat: The F-14 Fighter Simulator for the Atari 7800. Average graphics, but the game is ultimately broken. This is because you basically take off and crash your plane. So, this game flops with a 30%. The third game we tried is Ace of Aces for the Atari 7800. Faulty controls and unclear objectives pretty much ruin the game. This in spite of the interesting dogfighting. As a result, this game failed at 46%. The next game we tried is Mean 18 Ultimate Golf for the Atari 7800. Well thought out difficulty, good learning curve, and nice swing mechanics. Great graphics, though depth perception leaves a bit to be desired. Because of all this, this game earns a great 84%. Finally, we played Jinks for the Atari 7800. Bad ball physics and graphics make this game a rather confusing play. Still, this game wound up being OK all around and gets a 66%. Before we get into the music we’ve reviewed this month, we would like to take the time to give a shoutout to Psy-Aviah for passing along a copy of their EP Dream Fever. The EP offers the tracks Dream Fever as well as Walking on the Moon. It also happens to be a collaboration with Saydi Driggers on vocals. Additionally, there are a number of interesting remixes on this EP which take these ambient style synth-pop tracks in different directions. An interesting sneak peak we got this month, that’s for sure. Just a reminder for other artists out there, the Music Preview section is powered by you, the artist. If you are an independent artist with a forthcoming release, feel free to drop us a line. If we find the music interesting, we’ll be happy to offer up previews much like the one we got earlier this month. So, that, leads us to our pick of the month. This month, our pick of the month belongs to Mean 18 Ultimate Golf for the Atari 7800. Also, be sure to check out SSH – Lufia II – Battle 2 + 3 and Dyprax – Exorcism. A woman in Craigavon, Northern Ireland decided to illegally purchase cocaine. Unfortunately for her, she found out that her 200 British pound purchase was not what it seemed. So, what do you do when you’ve been ripped off by your drug dealer? Call the police, of course. The police said that they were surprised the woman contacted them about it. They responded by posting to Facebook, saying that drug dealers only care about lining their pockets and that they shouldn’t be trusted. The substance the woman ended up getting? Brown sugar. Pretty close to cocaine, right? Man that’s some expensive sugar. Reporters were left laughing after some fallout occurred over a study on Hipsters. A report entitled “The hipster effect: Why anti-conformists always end up looking the same” discussed a study into Hipsters by Brandeis University in the US. The study argued that a Hipsters all important counter-culture attitude will eventually end with hipsters all looking the same. The story in question used a picture of a hipster. In response, one reader contacted the MIT reporter, accusing him of slander. Specifically, he said that they used a picture of him without his permission. In response, the reporters began investigating the accusation by contacting Ghetty Images, the source of the stock photo. Part of the terms for the picture stated that the picture couldn’t be used for derogatory purposes. For the reporter, the term “Hipster” isn’t really derogatory. After further investigation, it turned out that the hipster in the photo wasn’t the hipster making the complaints. Apparently, the hipster simply misidentified himself. Oops! People remarked that the hipster inadvertently proved the studies theory because he couldn’t even tell himself apart from other hipsters. Hooray science! So, before we close out the show, we have an announcement to make. We here at Freezenet have expanded out features once again. This month, we’ve published a guide on CSS. CSS stands for Cascading Style Sheet and can help make websites look pretty good. The guide is specifically for beginners new to the language, so we don’t really go too deep into the weeds. By the end of it, you should be able to design a basic website with the knowledge found in there. This guide, of course, compliments our HTML guide we made clear back in 2013. HTML, of course, is required knowledge if you want to get into CSS coding, so both guides go nicely together. Now, if you want to start learning how to code for the web, Freezenet is a great place to start. Also, huge shoutout to Nolan for providing recording and mixing services. With this episode, he has helped produce more than half of all of our shows. So, big thanks to him for all of his hard work. If you like what you hear and are interested in what he has to offer, feel free to drop us a line and we’d be happy to help you get in touch with him. He’ll no doubt be able to help you make your podcast sound great as well. If you’d like to get your hands on some behind the scenes stuff, exclusive content, and early access material, you can check out our Patreon page at Patreon.com/freezenet. Through this, you can help make Freezenet just that much better all the while getting some pretty cool stuff in the process. That’s Patreon.com/freezenet! …and that’s this months episode for March 2019, I’m Drew Wilson for Freezenet. Be sure to check out our website at freezenet.ca for all the latest in news and reviews. You can also like us on Facebook<?a> and follow us on Twitter @freezenetca. Thank you for listening and see you next month. Drew Wilson on Twitter: @icecube85 and Facebook.